In 2005, writer Stephenie Meyer introduced readers to the next big franchise, the Twilight Saga. By the time the last entry in her four book series was published three years later, the first movie had hit theaters. Rivaling Harry Potter for attention in the eyes of moviegoers, Twilight centered around a family of vampires and a human who fell in love with one of them. Bella and Edward were the heart of the story, but for some audiences, many of the secondary characters were far more interesting, and they clamored for more backstory. Alice and Jasper were secondary characters in a relationship of their own. With powerful abilities and from different points in history, they fascinated readers and movie viewers alike. Already adopted into the Cullen family and married by the time they became part of Bella’s life, much of their history was only hinted at in the novels. Details about the duo were left to be expanded in both the movies and companion books. Short films released after the franchise officially came to an end gave fans yet another taste of the couple. Combing through all of that material, we’ve managed to gather 25 Wild Revelations About Alice And Jasper’s Relationship for you. Despite the movies debuting in theaters more than 10 years ago, and the book series debuting long before that, audiences still crave more Twilight. Jasper and Alice are a big part of that. Lionsgate launched a short film spotlight series for female filmmakers in 2015. The videos, termed “Storytellers: New Voices In The Twilight Saga,” gave up and coming female directors the chance to tell prequel stories for different characters. The shorts launched on Facebook. Half of the short films created during the event were about Alice or Alice and Jasper, proving that their history remains one of the most intriguing aspects of the franchise. 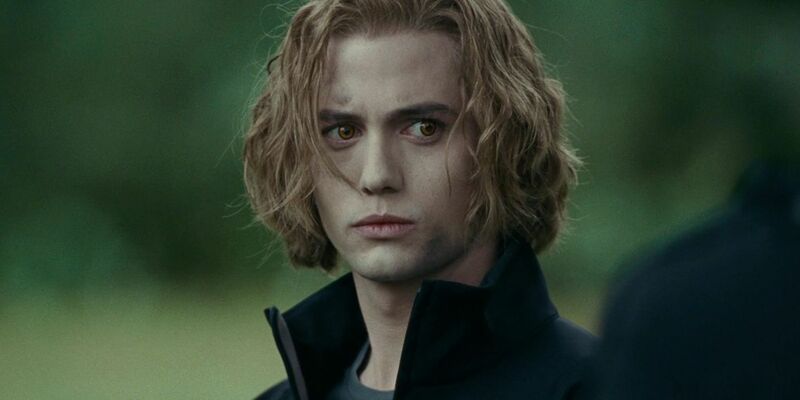 Unlike Bella Swan, who entered the Cullen family as a human, Alice and Jasper were experienced vampires long before they met Charlie and Esme. Jasper became a vampire following the events of the United States Civil War, and the duo met decades later. Neither of them relied on a family of vampires to teach them how to use their abilities like Edward or Bella did. This also meant they had to get used to existing as a vampire in the world without a whole lot of help. While Jasper did belong to a different group for a while, Alice was mostly on her own. Neither Alice nor Jasper chose their new lives as vampires. The vampires who turned them chose for them. When Alice’s father plotted the demise of her mother– and Alice knew– he had her committed to an asylum. One staff member protected her from more invasive “therapies,” though he couldn’t protect her from shock treatment. When he discovered the vampire James was after Alice, he turned her so she could protect herself. Jasper, on the other hand, was turned for more selfish reasons. A vampire named Maria wanted him to help her create her own army to take back her territory. She relied on his military experience and charisma to build her ranks. Because Alice often takes the lead when she and Jasper interact with others, there was an early perception that she might have been a bit older, or that he was more recently turned than she was. That’s not the case. Born at the turn of the twentieth century, Alice ended up in the asylum where she would become a vampire in 1920. She couldn’t have been in the asylum for longer than a year or so before she was turned, but Jasper still beats her by several decades. A teenager during the Civil War, Jasper became a vampire more than 50 years before Alice did. If he hadn’t been turned by Maria, he might never have met Alice. Shock treatments, while she was locked away, meant that Alice had no memory of her prior life as Mary Alice Brandon. The vampire who turned her ended up destroyed by James, so Alice woke up as a wholly new person completely alone. Her visions kept her from losing hope, though, since the first clear vision she experienced was of Jasper. The vision she had showed Jasper using his abilities and attacking humans to feed before she saw what their life could be like with the Cullens. She came to believe it was their destiny to find one another and join the family. Alice’s belief in destiny might have been what drove her to wait for Jasper. She didn’t let her life stand still, but instead began building her life to become the person she saw in her vision. Nearly 30 years later, Alice stopped in a diner in Philadelphia because she had a vision of Jasper being there. It was at that dinner in 1948 that Jasper walked through the door to escape a rainstorm. Alice only entered the restaurant moments before him, but she greeted him like she’d known him her entire life, and though Jasper appeared hesitant at first, the two remained together from then on. Though Jasper had already been a member of a vampire “coven” in the south, Alice hadn’t. The two didn’t have the same experiences with other vampires. As a result, Jasper was much more wary about interacting with new ones. Alice changed his mind. She explained to Jasper the visions she had of their life together, and how the Cullens would take them in as family, not as soldiers. 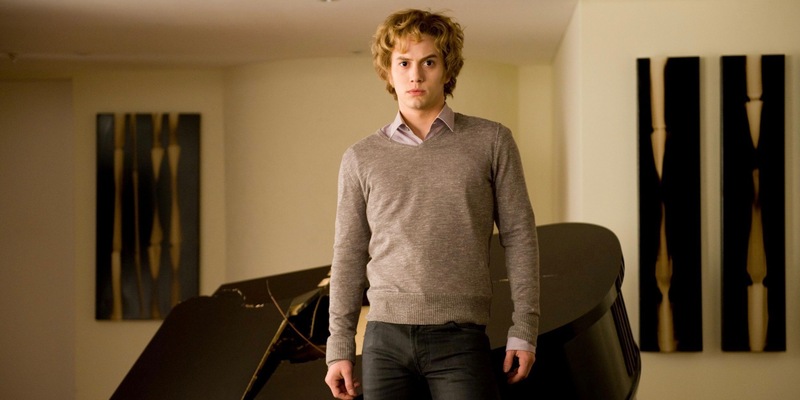 Jasper only agreed to meet Carlisle and Esme due to how desperately Alice wanted to find them. It was one of the many times he allowed Alice to take the lead in their relationship. Humans think of a vegetarian diet as one without meat, preferring grains and vegetables instead. For vampires, “vegetarian” takes on new meaning. Since vampires don’t need regular food, they tend to take their fuel from human beings. There are, however, alternatives to that, and Alice set out to find them before she even met Jasper. By sheer force of will, Alice adopted a “vegetarian” diet of animals while she waited to meet Jasper. She knew that was part of what united the Cullens, and she wanted to be prepared. Jasper, who felt what his victims felt when he fed, was relieved to find a way to change, though it was significantly more difficult for him. Once they met at the diner, Alice spent a little bit of time convincing Jasper of their future together. She told Jasper exactly what kind of vision she had of them with the Cullens– including their vegetarian and familial lifestyle– and the fact that they were meant to be. He was initially skeptical of Alice’s firm belief that the duo were meant to be. He still spent the next two years bonding with her, learning to be a vegetarian, and following her around the country. 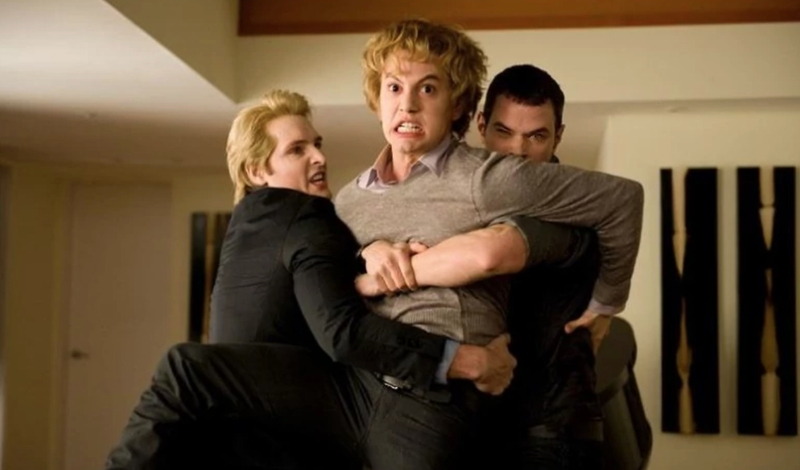 They briefly spent time with one of Jasper’s old friends, Peter, but they finally located the Cullens in the 1950s and became part of their family. With a franchise like Twilight, it’s no surprise that the most popular pairing in the fandom is the one the story already centers around. Edward and Bella’s love story is nearly all-encompassing, making some fans wish for more time with other characters. Despite Jacob Black’s presence in the franchise as one-third of the main love triangle, it’s not Jacob and Bella who are found in the top slot amongst fan-works. When looking for fan art and fan fiction online, it’s actually Jasper and Alice who nab the number two spot on sites like Archive Of Our Own and FanFiction.Net. Nearly one-quarter of the fan works published for the franchise feature Jasper and Alice. When retelling the story of how he met Alice, there’s one point that Jasper likes to drive home: his wife gave him the first hope he felt in nearly 100 years. Jasper met Alice after spending decades as a vampire who could feel all the pain of his victims. The one responsible for training Maria’s newborn vampires, he felt their anger, confusion, and their hunger. Once he left her, he spent much of his time traveling, depressed as the fear and pain of his victims stayed with him. When he met Alice, though, he could feel her happiness and hope immediately. He became drawn to her, even if he didn’t initially understand her. Alice and Jasper spent two years getting to know one another and learning the ropes of vampire vegetarianism together. Not long after becoming “adopted” by Carlisle Cullen though, the couple took the next step and married. The two didn’t marry because Jasper had a sudden need to prove he wanted to spend eternity with Alice. Instead, they married because Carlisle worried about what the humans around them might think. Alice and Jasper married to prevent talk of the “siblings” coupling up out of wedlock. If Carlisle hadn’t suggested it, the two might have continued on without it ever occurring to them. 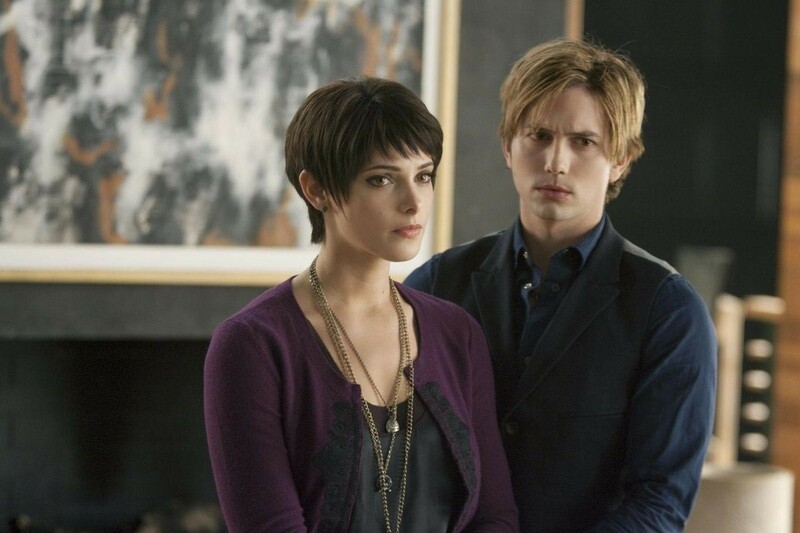 Despite the duo marrying not long after finding the Cullen family, Jasper and Alice don’t share the same last name. To better assimilate into the communities the family moves to, the group splits its surnames nearly down the middle. Carlisle and Esme, as the married couple taking in the teens share the surname of Cullen. It’s the same name Edward and Emmett take on as well. 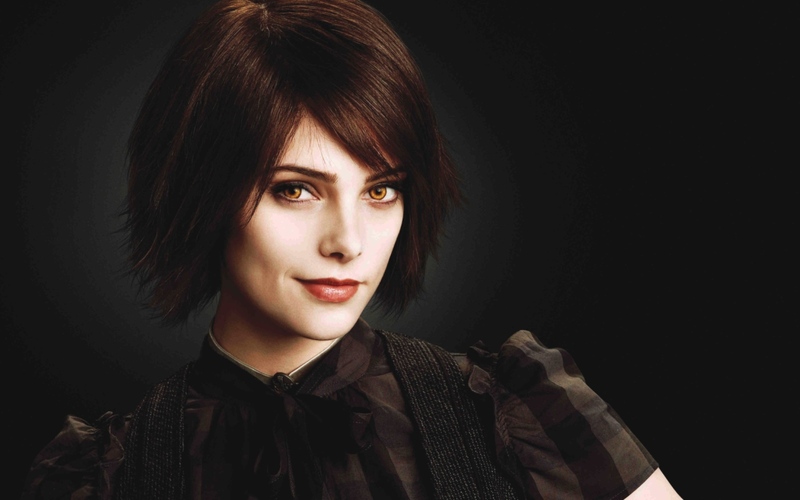 Alice eventually becomes a Cullen. Jasper, because of his resemblance to Rosalie, takes her last name of Hale instead. The two pretend to be twins, making it a bit easier for humans to understand when they date their adopted siblings, but not one another. Stephenie Meyer started writing the novel Midnight Sun following the completion of Twilight. The novel would have shown events of the first book from Edward’s point of view instead of Bella’s, giving readers a bit more insight into the Cullen family. Instead, New Moon became the second book and Midnight Sun was scrapped. One of the major plot points in the novel was Alice’s vision of losing Bella. 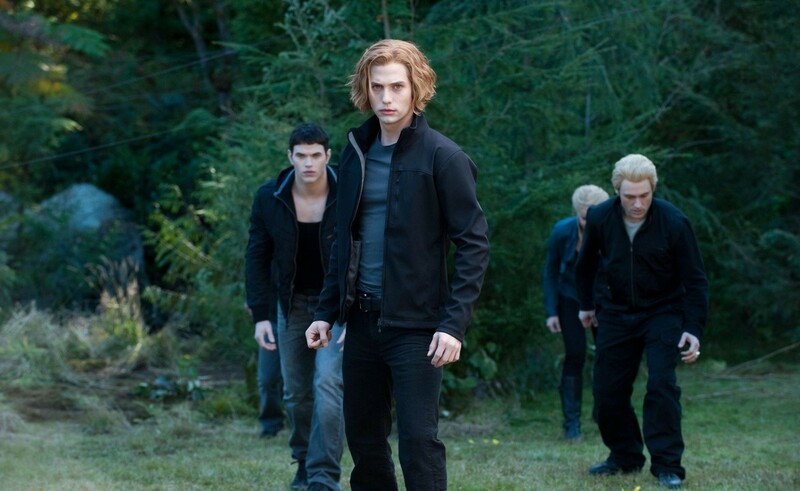 Her vision involved Jasper attacking Bella and Edward winding up further away from the family. The vision caused Alice great distress because of her love for Jasper, her family, and her friendship with Bella. Instead, the entire family (briefly) moved away to keep Bella from harm. Despite the couple frequently taking on jobs together (like traveling to South America in Eclipse), they don’t always see eye to eye. In fact, when Bella first entered their lives, Alice and Jasper had completely different opinions of her. Alice thought of Bella as the perfect match for Edward. She wanted Bella to be part of the family one day, and treated her as such almost from the first moment they met. Jasper was more reserved. He saw Bella as an obstacle to their blending in, and even a possible threat to their lifestyle. 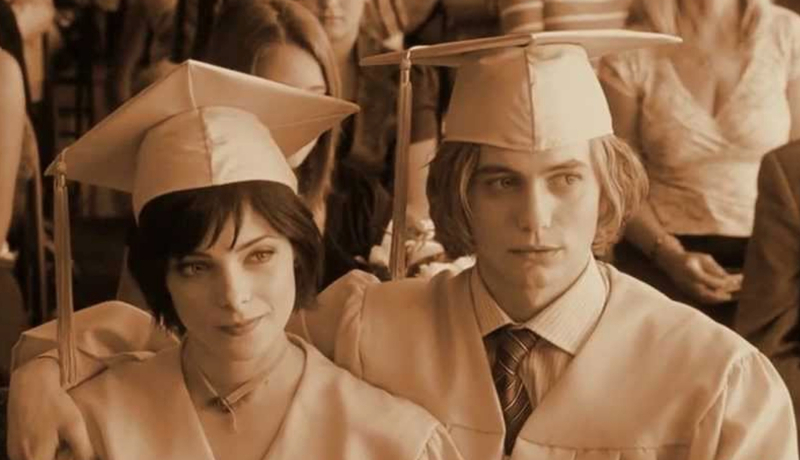 Because Jasper pretends to be Rosalie’s twin brother, he and Rosalie usually elect to be older than their other siblings, graduating a year ahead of them. This caused some interesting journeys in the books. 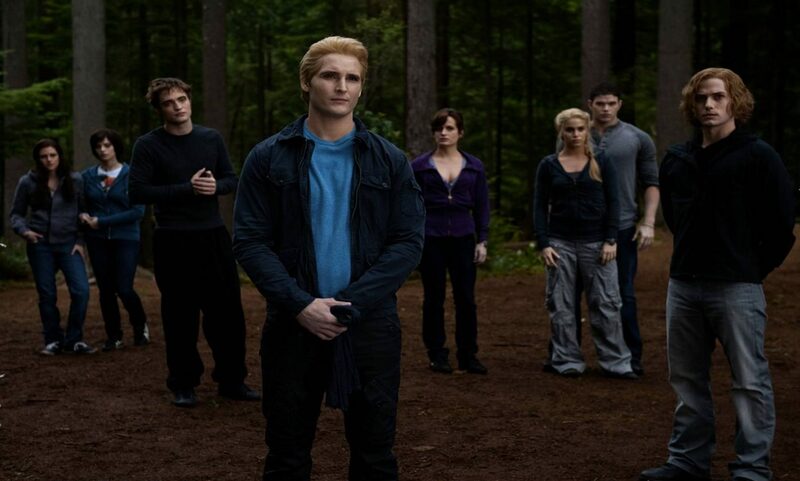 Following Jasper’s graduation in the novels, the Cullens end up leaving Forks. It’s a temporary leave at Edward’s insistence to put distance between them and Bella. Jasper attends university while they’re away, studying philosophy. Alice elects to go with him, but she spends her time researching her own family history instead, discovering that she has a niece who is still alive. Because Jasper had experience in both military operations and training newborns, when the events of Eclipse roll around, he’s the perfect person to train his family. The story of the third chapter sees newborn vampires hunting Bella down to destroy her. Jasper’s experience allows him to not only give his family tips for a fight, but also train some of the werewolves to protect Bella. Though he knows Alice is fully capable in a fight– her visions allowing her to predict her opponent’s decisions– he still spends most of his time during the actual fight keeping an eye on her. In fact, his worry about her safety leads to him getting bit instead of Alice. In 2012, the cast of the Twilight Saga promoted the franchise for the last time. As a result, a lot of stories about the early films in the franchise came out during the press tour for Breaking Dawn Part Two. Jackson Rathbone took time in one interview to explain how they decided on Jasper’s frame of mind for the first movie. He detailed that he loved playing Jasper when first meeting Bella, describing Jasper as, “so awkward.” Rathbone also explained that awkwardness was born from him wanting the problem (Bella) gone, that “If he didn’t have Alice,” he would have ended her. Sounds like fans have Alice to thank for Bella’s story even being told. Noted in Rathbone’s same interview is the reason for Jasper’s protectiveness of Alice. Though fans might see it as romantic or chivalrous, behavior born from his Civil War days, Jasper’s protection of Alice is more specific. During the events of Breaking Dawn, the Volturi send vampires after the Cullens because they believe the Cullens broke vampire law by turning a child. Rather than talk things out, they attack outright. According to Rathbone, the reason for the attack didn’t actually matter. The Volturi used Renesmee as a pretext to go after the family because they really just wanted to add Alice to their ranks. That’s something that Jasper realizes, and the reason he protects her so fiercely. Despite Jasper’s desire to keep Alice out of the Volturi’s clutches, in New Moon, he agrees to stay behind while Alice visits them. That might seem out of character, but in reality, it’s perfectly reasonable. Alice and Jasper travel to see Bella when they think she’s in danger. Once they find her safe, it’s Edward in danger as he pays his own visit to the Volturi. Alice elects to take Bella to them to get Edward back, but she makes Jasper stay behind because she doesn’t want to lose him. Jasper promises to heed Alice’s wishes and not get caught between Edward and the elder vampires. It’s only because he promises that he stays behind. 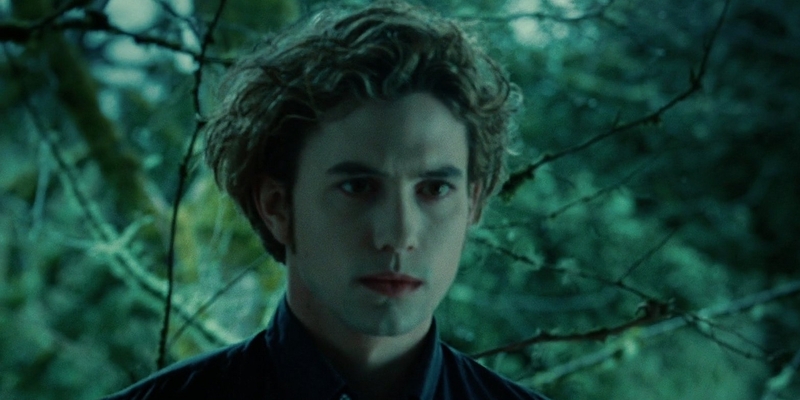 Despite his feelings towards Bella when meeting her, Jasper changes his mind over the course of Twilight and New Moon. Bella, so drawn to Edward and at home with his family, wants to join them, while Edward spends much of their relationship vehemently against it. Following their visit to the Volturi in New Moon, Bella asks the Cullen family to vote on her inclusion. Possibly to the surprise of much of the audience, Jasper and Alice present a united front, both voting for Bella to become a member of the family. The vote makes sense when you consider Jasper’s desire to keep Alice happy. Jasper and Alice are clearly devoted to one another. Alice’s feelings influence Jasper’s decisions more than his own do, and she waited for the chance to meet him for decades. There’s no questioning that. Unlike their family members, though, they don’t show a lot of physical affection in public. Jasper and Alice are more mindful of their roles as high school students adopted into the same household than the others are. The movies, however, took a different approach to them. Jasper and Alice often had their arms around one another or their chairs pressed together when Bella observed the family members in the cafeteria. Jasper and Alice only married once. It appears, despite Alice’s bubbly personality and Jasper’s devotion to her, they don’t want or need a celebration centered around them every few years. It’s likely Rosalie and Emmett did enough celebrating for the entire family. Vampires all have special abilities. While some can read minds, others can plant thoughts in people’s heads. Alice and Jasper’s abilities are very unique. Alice has visions of the future while Jasper can influence people’s emotions. Interestingly, they had versions of these abilities as humans. As a human, Alice saw fleeting visions of the future. Her visions simply weren’t as clear, or as detailed, as when she transformed. Jasper, likewise, was a charismatic human, able to sway people to his point of view. Both of their abilities as vampires are more dramatic versions of those they had as humans. When an actor joins a franchise that blows up in the way Twilight or Harry Potter does, they’re immediately launched into an intense media spotlight. That can either help fast track their career or pigeonhole them. The actors playing Jasper and Alice had conflicting experiences. Jackson Rathbone looks back on his time in the franchise fondly. He equated the cast with family in older interviews, and takes it in stride when people don’t like the saga. Ashley Greene, on the other hand, lamented that Twilight “ruined her” when it came to forging a career path and maintaining close friendships. Did we hit you with some new details about Alice and Jasper’s relationship in the Twilight Saga? Is there something about the couple we left out? Let us know in the comments.